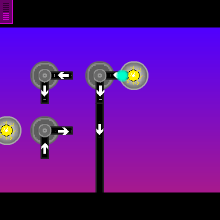 Get thye electron from energy ball to another. Use the diodes to control its path. Click a diode to select it, and move it with A and D.